AFL: Brisbane 200-gamer Daniel Merrett believes there's no-one in the premiership like Eric Hipwood. The Lions teenager, from Caloundra, is in just his second season in the top flight but he's captured the attention of experts and fans with his enthusiastic approach. A versatile goal kicker, he was nominated for the rising star award in April and he bagged four majors last weekend to propel his side to an unlikely victory over Essendon. "What sets him apart is he's 204cm, which is ruckman height, but he's also agile and super quick so athletically there's probably no-one in the comp like him," Merrett said. "He's got all the attributes but he's also super competitive. "It's his willingness for the contest and to make life hard for his opponent." Merrett believes the former Panthers junior was the most talented player to come out of Queensland since Nick Reiwoldt. He said he echoed the comments from AFL Academies manager Mark Browning. 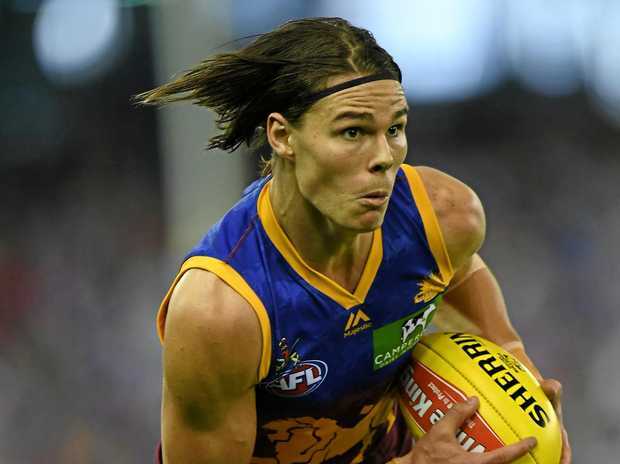 "I've probably thrown Harris Andrews under the bus a little bit and someone like Dayne Zorko but I think from a pure talent point of view Eric's got some pretty impressive attributes," he said. 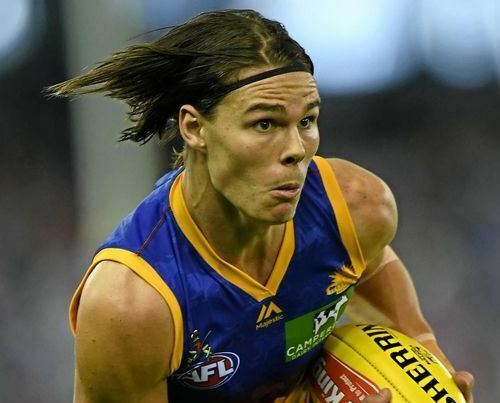 Hipwood doesn't appear to have suffered from second-year syndrome in the AFL either. As a relatively unknown player in 2016, he caught plenty of opponents off guard. Rival clubs now know what Hipwood is capable of but stopping him is another thing. "Last year what impressed everyone was the way he attacked the ball in the air and attacked the contest and I think he's maintained that this year," Merrett said. "And that's his big challenge this weekend against Geelong. "They will try and hold him down and not let him jump at the ball because that's when he's most dangerous, when he's attacking the ball and going hard at the footy." "When opposing teams have tried to hold him down, he's been able to get off the leash a little bit and still attack the contest so I think his ability to adapt to that has helped him for sure." Merrett, who retired last year and now plays part-time with the Panthers, said the AFL club should be keen to keep Hipwood on its roster for years to come. "He's a Queensland boy from Caloundra and the mighty Panthers so it's essential Eric stays at Brisbane Lions," he said.